Calculate the market price of your HOLZ-HER CUT 85 with WOOD TEC VALUE. Free, fast and independent! Beamsaws by HOLZ-HER, equipped with 11 KW saw aggregate. 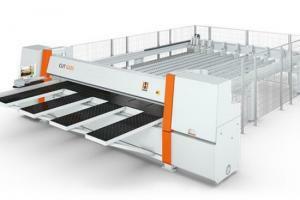 Powered by toothed rack with a feed of up to 100 m/min. The maximum cutting height is 85 mm. Offered controls are Cutcontrol or the optimization software Optipro.